Lately, I have been taking great pleasure in making small emergency kits for my day hikes, and it also makes a great stocking stuffer for the holidays (hint)! Also, other than the tic-tac case and tweezers, most of the items you buy will come in multiples, which means you can make awesome gifts that won’t cost you much! One of the few downsides of this is that it is not waterproof, but the most important “dry” items I keep in small zip bags. You can buy a 200 mints tic-tac box at your local supermarket or they sell packs of 4 on Amazon.com – eat the mints or save them for later.. up to you!! Some people also like to use Altoid boxes, but sometimes that can get rusty! 14 x 16″ (31.5 x 41cm) piece of folded aluminum foil (You can find this cheap at dollar stores) – this item can have multiple uses, you can use to start/keep fire and cook food, fold it into a small box for collecting or boiling water, wrap it around a hook for fishing (the light will reflect and attract more fish) as well as a signaling aid! Bic Lighter – This item is great to start fires (duh!!) and easier than dealing with matches or other ways to start a fire. Small tweezers – I am sure there are fancier tweezers out there made for survival, but I am going with something I’ve owned for a while. This is great for splinters, first aid, or even using it as a screwdriver. Fishing hooks (3 different sizes) and fishing line – The sizes of the hooks are just in case – you can still catch a big fish with a smaller hook, but you can’t catch a small fish with a big hook. This can help you catch fish, as well as use the line in case of emergencies for shelter, first aid and gear repairs. Small super glue (mine is smaller than the one linked, I just couldn’t find it on Amazon) – I’ve only discovered the use of super glue a while back since I’ve always used duct tape – used for first aid, repairs, and an alternative to duct tape. Mini Duct tape – I just rolled the tape into something smaller, there’s plenty of tape here. This is one of my favourite items, it can be used for the repair of gear, make “weapons”, first aid, insulation, and many other things. Thread and needle – My scale couldn’t even weight this item lol – used for repairs, if you are going to more intense hikes/backpacking trips, I’d recommend something slightly better and stronger needles. First Aid Items – I have 1 small gauze, 1 regular sized band-aid, 3 alcohol pads, 1 pack of triple antibiotic ointment, and 1 pack of “Aquaphor” (burns and skin irritation) – these items would work for small injuries/cuts, since it was made for a day hike, I would expect to be able to go back to safety in case something more serious were to happen. If you are going to intense hikes/backpacking trips, I’d invest more in first aid. Pills – I carry 3 salt pills with me, these are amazing for muscle cramps and replenishment of electrolytes, as well as 8 Motrin 200mg pills in case of an injury, headache, and minor muscle aches. Water Tablets – Even though I carry my Life Straw or my Mini Sawyer everywhere, I still feel safe with Water Tablets. One little tablet will filter 1L of water in 30 minutes. These tablets do not leave your water with a gross taste, and won’t give you tummy aches. I’d recommend even keeping some at home or your car in case of emergencies. X-acto Blade No.2 – This baby can be extremely useful and sharp! You can make a small knife with it, first aid, and fix gear. 3-in-1 screwdriver tool (Slotted, Phillips, Allen)- this actually came with my glasses, which can be very useful for electronics, a lot of headlamps or other items will require a screwdriver in order to change the batteries. It came as a key-chain, which I removed in order to make it lighter. Fire Starter – The baggie has 3 matches, and three tinder-fire tabs – in case the lighter does not works, these should be enough to keep me warm for a while. How much does everything cost and weight? First Aid items .35oz – 10g $13.77 for a lot of items, just pick what you think is best for you, this should last you for a long time! Bobby pins and hair-tie ? $1 and you can find these at any dollar store! Any suggestions for things to add to the kit, please let me know! Let’s start with undoubtedly the most famous mountain in the Greater Vancouver area. Anyone that’s done a quickgoogle search for hikes in North Vancouver will see that Grouse is the first mountain suggested. The famous, infamous if you will, Grouse Grind is located here. Many people consider it the gateway hike for the shore. Easily accessed direct from the parking lot at the bottom of the mountain it’s hard to argue but I still do. “Mother Nature’s” stair master consists mostly of man made stairs now. In my opinion, the grind is not the best hike to first experience North Van. Located almost parallel to the grind is the BCMC trail. 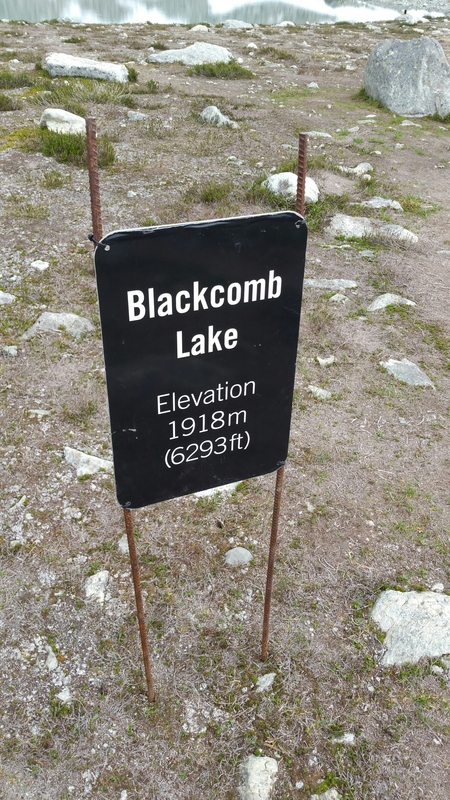 That’s the abbreviation of British Columbia Mountaineering Club. The trail is more natural and more of a true experience of what the shore has to offer. 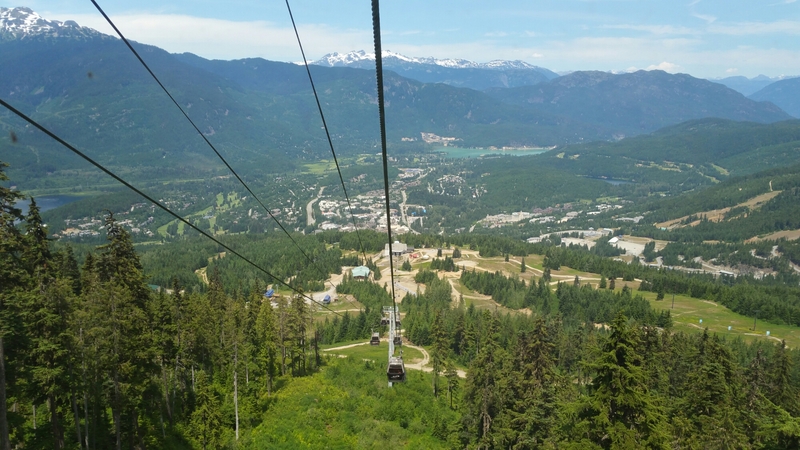 The other option to get to the top is the very simple, albeit somewhat pricey, gondola. The easy way, but still an adventure. You get great views of Capilano Lake and Downtown and if you’re lucky you will even get to see the wolves. There are points of the ride that will give you butterflies, more so on the return, and it’s a nice feeling. The attendants also give a very detailed explanation of the area and will answer questions even before you ask. At the top there is no shortage of activities, from breakfast with the local grizzlies, Coola and Grinder, to watching lumberjacks entertain to backcountry hikes. For obvious reasons I’ll focus on the hiking aspect. Grouse is an access point for many other areas, including Goat Mountain, Little Goat and Crown mountain to name a few. Crown is a personal favourite of mine and you can expect a fully detailed post about it in the future. Again, staff there are incredibly helpful and there are maps available for any assistance in finding the trails. Grouse is so well equipped that even of you happened to forget something they have essentials available at the mountain top store. Access to most of the hikes is by following the service road underneath the ski lift. From there you get a spectacular view over West Vancouver to the ocean. There is a full network of trails ranging in difficulties from easy strolls to strenuous scrambling up mountain sides, it’s really the choice of your own as to how hard you want to work. As you go around the back side of grouse you will find Dam Mountain, Goat Mountain, Little Goat and of course Crown. If you go all the way down the back side you’ll end up in Hanes Valley, a spectacular loop from Lynn Canyon to the top of the shore. Grouse is definitely a good first mountain on The Shore as there are many possibilities for your adventure. Grind aside this is a very natural and raw area. You’ll be able to challenge yourself as far as your legs will take you. It’ll break your body and beat your soul, everything that shapes The Shore into what it is. Stay tuned for the introduction of Lynn Canyon on part 2, my figurative backyard. I have decided to start looking more into farther hikes from me, and that took me to Letchworth State Park in New York – voted the best park in the nation in 2015. I had my mother come with me, and she will be probably appearing in more posts as well! Honestly, I would feel 100% safe hiking solo since this is a busy park. The reason why it is named part 1 of 2 is because we only completed half of the Gorge trail since we decide to explore down to the Portage trail ( trail 6 – 1/2 mi ) Letchworth State Park Map I’d highly recommend printing the map and highlighting different possibilities for trails if you’re planning on staying there for a while and taking full advantage of the park. The park is accessible all year long, open from 6am to 11pm, providing many other activities other than hiking, it is a great family friendly park, pets are allowed but on a leash. We decided to take the “main” trail which is the Gorge trail, however, the main entrance for this trail named Portageville was closed, so we had to go around to the Castile entrance and then drive down to the closest checkpoint from the Portageville entrance. Entrance to the park cost $10 and they will provide you with a map. The Gorge trail is marked as #1 on the map, it is approximately 7mi long point to point, so if you are planning on doing the whole trail in one day with just one car, be prepared to hike your way back, which is obviously another 7mi. The markings area bit on and off through the trail, but it is very hard to get lost, just follow the river. Some websites I’ve read prior to going said it was an orange marking, to me, it looks pretty yellow. Water and bathrooms were not a huge concern to us – you’ll be crossing a lot of parking lots/picnic areas with water fountains, maps of where you are, and toilets. I had my 3L reservoir with me, and did not need to refill it for the hike we did that day. We have seen beautiful animals (squirrels, chipmunks, eagles, etc…) and lots of different kinds of mushrooms on the trail. Right at the start of the trail you’ll see this beautiful waterfall, luckily there was a rainbow and it made it a pretty awesome picture! There are great viewpoints at the beginning of the trail for pictures and to admire how beautiful the scenario is. This part is more “touristic” so be prepared for large crows of people and the wait for a picture to be taken. Going up further, you’ll be able to take pictures of the waterfall where you started before going into a beautiful wooded area. The terrain was not bad, some parts of the trail have detours since it has collapsed and it is blocked off, there are small elevations and stairs, nothing too brutal and doable to an out of shape hiker, just take your time! Bringing a trekking pole can be helpful and take some of the edge off your body. We kept going until we reached the junction of the Gorge trail with the Portage trail (trail 6). Since my mother was not feeling too well, we decided to go down and see what the trail was all about since you’re able to see the lower falls. There will be a bridge crossing the river and you can be at the lower side of the park. It was very slippery! (I honestly cannot understand why some people go hiking in flip flops or cute summer sandals… as you probably have guessed, some were almost falling down stepping in the mud or complaining they were getting dirty…) I’ll let the pictures speak for how beautiful it was. If you go down the steps and turn right, it will lead to a dead end with this view. Doesn’t the “walls” look awesome? Before we decided to make our way back, we stopped at one of the picnic areas and sat down to eat some snacks and rest. People were bbqing and there was a fair amount of children in the park, apparently if you keep going right past the junction to the lower falls, there is a spot for swimming! TL;DR : $10 entrance, safe to go solo, beautiful views, heavy traffic, family friendly, dog friendly, well maintained, and lots of activities. 10/10 would go back. The park is easy to get to, and it is also free. There is a small yellow box in front of the parking lot where you can leave a donation of the maintenance of the park. If you walk a few meters, you’ll see the entrance of the park, and the trail is very easy to follow, often there were marked maps that explains each section of the park. We probably finished the park within an hour and a half, we took our time enjoying the sculptures and taking pictures. There are events there in the summer such as concerts! This is a family friendly park and very easy to navigate, if you are bringing a dog, make sure it is on a leash. I would say that it is the perfect short hike if you are in the area and different than most parks out in the area. Planning a thru-hike like the Continental Divide Trail is not easy, usually they recommend at least a year in order to have everything that you need. Of course if you have done backpacking, camping or other outdoor activities, most likely you already have a few items that you’ll need, or maybe borrow from someone that you know. Well… I do not own anything that will be used on a thru-hike. As you start shopping for a tent, shoes, backpack, ice axe, and etc… you start to realize that it is a huge investment, you also need to consider that while on the trail, unless you are lucky that has a job that will pay you while you are gone, you won’t be making any money. You need to make sure to buy equipment that will be multi-use, ultralight (my goal for the CDT is a 15-16lbs backpack without food), that can handle any sort of weather (from desert to snow), and reliable. Once you start to looking around for items, you realize that they are not cheap… at all! So here is what I have been preparing to prepare to have at least some money to start investing on my CDT gear by sometime late next year. I am a typical person, I have huge school loans (don’t go out of state for your bachelors, kids! big mistake! ), I fell sick back in March and had to have surgery which increased my debt by $11k thanks to the health care system, and of course I have monthly bills such as my phone, gas, etc… A while ago I read an article online about how to travel the world without much money, and I started thinking about it. So here are my tips on how to make sure I can afford the CDT by 2017. Next month, once school starts back up again, I will be working full time and going to school full time, which means I’ll be leaving my house at 8am and coming back at midnight from Monday to Friday. I won’t have time for the gym (I also have weights at home), so I cancelled my membership saving me $15/mo, also cancelled my Kindle unlimited $10/mo, luckily I am able to use my mother’s Netflix account which also saves me a few extra dollars a month. I am lucky to work for a non-profit organization, which leads me to have multiple discounts in a lot of things. I signed up for the cellphone discount which saves me 20%/mo on my phone bill. But there are also discounts for online safe driving courses that you can take and save on car insurance. Some health insurances will also offer a discount if you are a non-smoker. If you do have the time for the gym, some insurances also will help pay for your fitness center. Deciding on the CDT made me realize that I do not need much to survive. I’ve decided to sell everything that I don’t use anymore, such as clothing, shoes, bags, accessories, video games and other miscellaneous items. I have lost a lot of weight and a lot of my clothes did not fit anymore, I also had my wardrobe from when I was on my teens inside a box, that honestly… I don’t even believe I used to wear things like that. So slowly I have been using eBay and apps such as DePop to sell my items online, and eventually do a garage sale. Luckily, I grew up around crafts, my grandmother taught me to crochet, and I can also do bead work, and other smaller crafts. Opening an Etsy store or taking orders towards Christmas time also helps me with some extra cash. Instagram is also another great place to advertise your items. And hey, being crafty can help you relax and have awesome therapeutic advantages! I’ve always been a lover of coupons (Sunday’s papers and retailmenot), but lately I’ve found out about cash back opportunities such as Ebates that will give you cash back for your purchases online. There is also an app called Ibotta where they will give you cash back for groceries.. yup! Milk, eggs and all that stuff that you never have coupons for! Sometimes buying in bulk might help you save, I am always going to go through Shampoo, for example, so I rather buy the big bottle instead of the smaller one because it won’t go bad, and it saves me money. Same with foods that can be frozen, I am in a low carb diet so I am always buying ground beef and lot’s of chicken, buying in bulk and separating into smaller portions helps a lot! Make sure the items you are buying in bulk are not going to expire before you are able to use it all, and that can be stored for a long period of time. 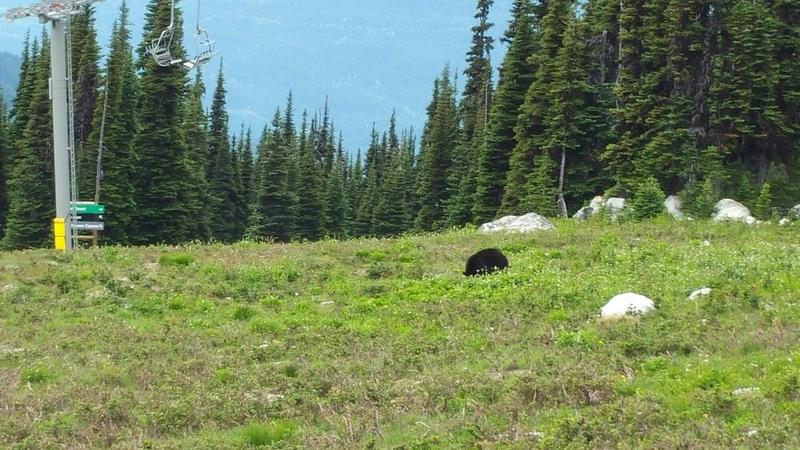 Since Bear and I met, he has been telling be about Whistler – British Columbia. He is a mountain biker and likes to visit Whistler during the summer. I really wanted to visit the village for my birthday, especially after he showed me many pictures of it, and he completely sold me on it was when he sent me pictures black bear cubs on the bike park trail (it’s not like we have bears just chilling in Western New York)! However, we had decided not to go there due to other plans while I was visiting BC. 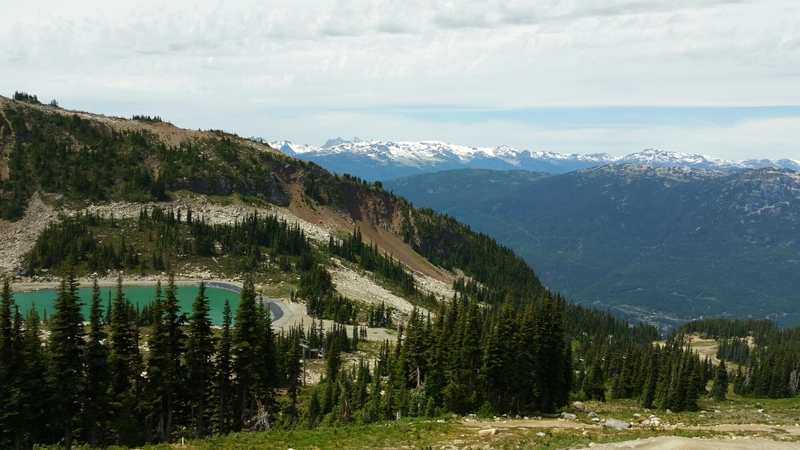 I have day hiked in the Grand Canyon, Yosemite, and smaller local trails in the past, and started to look into hiking Whistler. There are some amazing trails there, mostly moderate that will take more equipment and preparation. 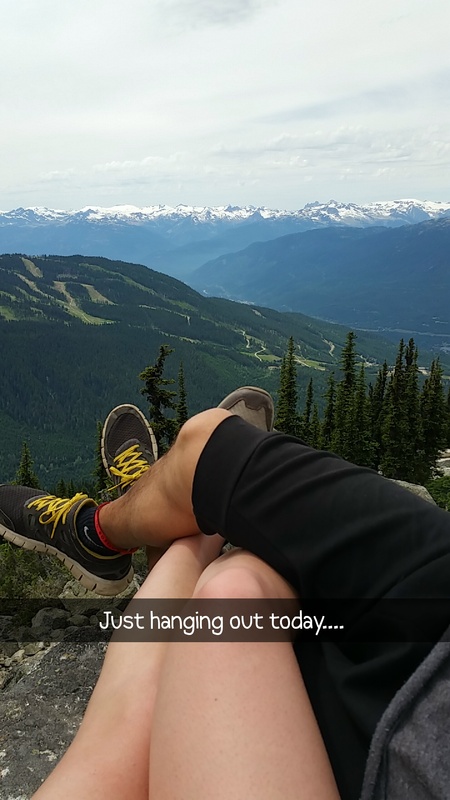 When I was in Vancouver, Bear surprised me with a trip to Whistler for my birthday! I was so excited. The drive to Whistler was beautiful, honestly the whole province is probably beautiful with so many mountains! When we arrived we decided to walk around the village for a little bit and it was amazing to see all different kinds of people from all over the world, people in the bike parks from really young to old, others were there to enjoy the day, people ready for hiking and many other activities. We got to the gondola and the trip up the mountain was so beautiful, it felt like it never ended though, so we were planning on our small hike while going up since we would have a couple hours until the last gondola down. 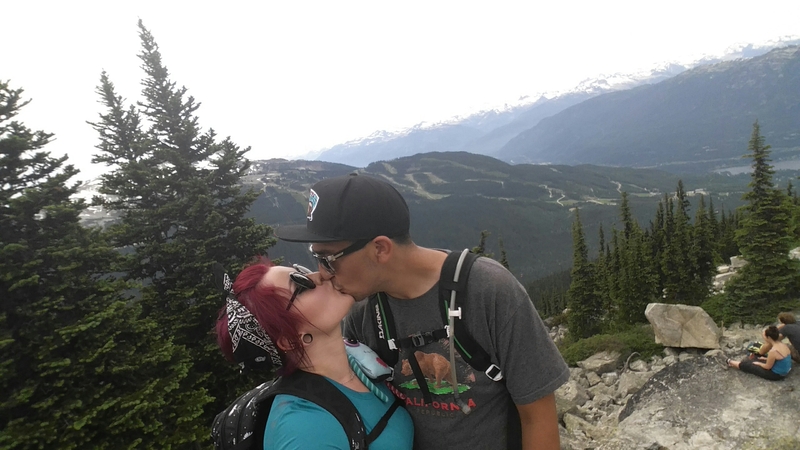 We decided to do Peak to Peak, and hike the Overlord trail in Blackcomb, then come back to Whistler to go to The Top of the World and then grab something to eat before returning to Vancouver. The lake was, as you guessed… beautiful! The water was extremely cold since it is straight from the glacier and I was able to dip my feet in it for a few seconds while we were resting, preparing to go back. 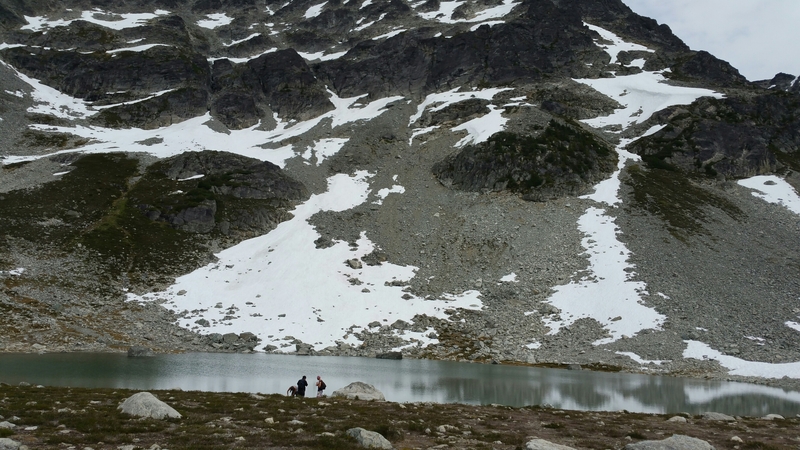 I also drank some of the water which was very refreshing and I couldn’t believe that people go there in the winter to go down those mountains, it looks extremely terrifying! On our way back, we let a lady pass in front of us, and right after she stopped and pointed something out to us, when I looked, IT WAS A BEAR!!! A beautiful black bear was in the grass, and that to me just made my whole trip complete! I couldn’t believe it. As someone who grew up in Brasil, seeing a bear so close in the wild felt amazing. The whole trip back down I was just talking about seeing a bear. We ate at the Mexican restaurant towards the back of the village, which I highly recommend their burrito, it was huge and I had to share with Bear. After this day, Bear was sold on the idea of doing a thru-hike with me! I wanted to do the PCT, however, after the movie Wild, we figured that it would be better to dedicate ourselves to the CDT instead, and hopefully in 2017 we will be sharing our journey here on this blog. We are an outdoorsy couple getting ready for the Continental Divide Trail in 2018. Bear and I are going to be sharing out prep and plans for the CDT and hopefully meet amazing people during our journey from Mexico to Canada. Patreon – Help support us! Click on follow if you'd like to receive an email when the blog updates!